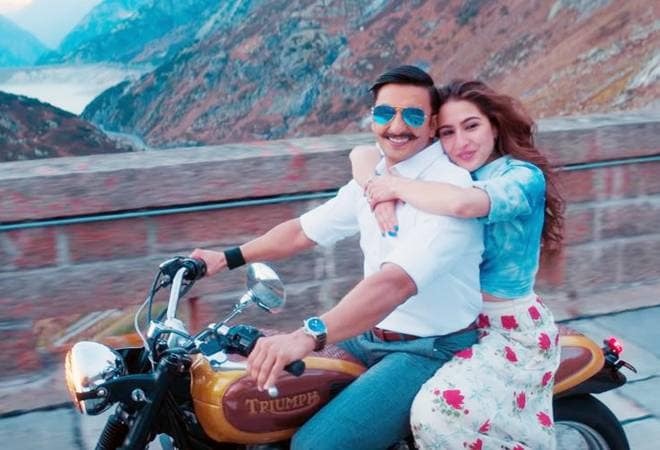 It seems like there is no stopping Ranveer Singh-Sara Ali Khan's Simmba, as the film has managed to gross over Rs 223 crore within 10 days of its release. Rohit Shetty's Simmba has earned Rs 159.83 crore in the domestic box office and Rs 62.22 crore at overseas market. Trade experts have also predicted that the action-cop-drama film is most likely to touch Rs 200 crore mark in its domestic collections before the third week. According to trade analyst Ramesh Bala, Simmba has surpassed the earnings of Tiger Shroff's Baaghi 2 and Salman Khan's Race 3. He has tweeted that Ranveer's Simmba has become the fourth highest grossing Hindi movie of 2018. However, it is still behind Ranbir Kapoor's Sanju, which had earned Rs 341 crore, Ranveer-Deepika and Shahid Kapoor's Padmaavat, which had collected Rs 300 crore and Rajinikanth and Akshay Kumar's 2.0, which minted Rs 191 crore nett at the box office. With â‚¹ 174 Nett till yesterday, @RanveerOfficial 's #Simmba has moved past #Baaghi2 and #Race3 to become No.4 Hindi Movie of 2018..
Simmba has already shattered the first-week collection record of Vijay Krishna Acharya's Thugs of Hindostan and Remo D'Souza's Race 3 at the domestic box office. Race 3 had collected Rs 144.51 crore, while Thugs of Hindostan had grossed Rs 137.55 crore in their first-week respectively. #Simmba starts Week 2 with a bang... Will cross â‚¹ 175 cr in Weekend 2 itself... Will make an entry into â‚¹ 200 cr Club before Week 2 concludes... [Week 2] Fri 9.02 cr. Total: â‚¹ 159.83 cr. India biz. Ranveer Singh's Simmba collected over Rs 20 crore on its first day and managed to earn Rs 23.33 crore on its second day. The movie made a collection of Rs 31.02 crore on its third day, therefore making a total collection of Rs 75.11 crore in just three days of its release. Simmba crossed the Rs 50 crore mark in three days, Rs 100 crore milestone in five days and Rs 150 crore target in a week. Trade expert Taran Adarsh has tweeted that Simmba might also be able to touch Rs 250 crore milestone at the box office. Simmba, which is Ranveer Singh's biggest release so far, has become Rohit Shetty's eighth consecutive film to achieve Rs 100 crore mark at the box office. Rohit Shetty co-produced Simmba along with Karan Johar under the banner of their respective production houses, Rohit Shetty Picturez and Dharma Productions. Simmba was released on December 28. Simmba has received mixed reviews from the critics and the audience. Simmba narrates the story of Sangram Bhalerao, a corrupt police officer. And in a sudden turn of events, Bhalerao is forced to pick a righteous path when the woman he considers his sister gets brutally raped and murdered. Simmba features Ajay Devgan, Akshay Kumar, Ashwini Kalsekar, Sonu Sood and the team of Golmaal series- Arshad Warsi, Tusshar Kapoor and Shreyas Talpade in special appearances.